What makes us human? After all, we are often reminded that our DNA differs from chimpanzees by only 1%. Thus why is it while they are swinging from trees we are accomplishing feats like creating beautiful art, or bring technology to uncharted areas? There are notable physical differences, like an opposable thumb or our larger, more developed brain, but our differences run far beyond the physical. As a human race, we have the ability to adapt like no other. 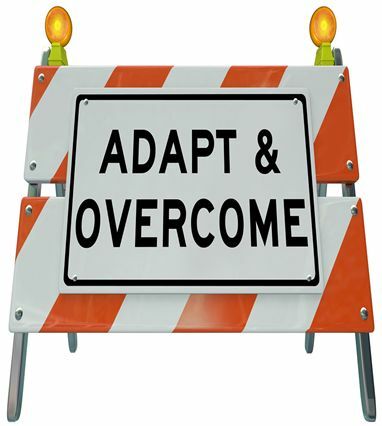 This ability to adapt has moved our race forward, and can move you forward on a day to day basis. If you study our history, even crudely, you will come across countless examples of us adapting: in our humble beginnings food was scarce and dangerous to catch: thus we developed ways to make this process easier- we began to hunt in packs, we developed weapons to more easily hunt our prey. To be able to live in even the most frigid of conditions, we made warm clothing that allowed us to survive. More recently, to satisfy our insatiable need for accessible information, the internet was created. Now, if I were thinking, “I wonder when William Shakespeare was born?” the advent of the internet and our ability to adapt has made it possible for me to type “Shakespeare birthday” into my internet search engine and have the answer in seconds. As a human race we have an uncanny ability to adapt. Even if the rules change we can (and will) master any game. He was born on April 23, 1564 by the way.